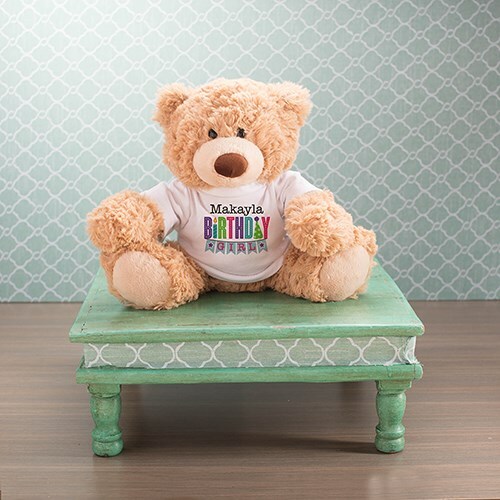 Our Coco bear is as cute and cuddly as can be when he is personalized with his very own personalized birthday girl t-shirt for that special birthday girl. This bear is made of super soft mink touch fur on body, nose, and foot pad, with black bead-like eyes. Coco has beads inside his paws, feet, and bottom for stability as he sits 10" high. We will custom personalize Coco's t-shirt with any name to make a special bear to help celebrate her birthday in personalized style. Made of surface washable polyester.